We are expecting PUPPIES from Happy-Happiness Cronestein. German pinschers are known to be intelligent, playful and also wonderful guarding dogs. They are easy to train but they can be stubborn. They are also wonderful family dogs. The father, Proud Jewel Indigo, has won several awards for the Best of Male Breed in the Netherlands. He is also the European International champion of Male German Pinschers in Luxembourg. Both parents have a record for their heritage. We are a small Tosa kennel and breed with passion for the Tosa according to the rules of the Dutch kennelclub and the Dutch Kennel association. Puppies grow up in our home with the mother and other dogs. Socializing, health and love are very important in our kennel. 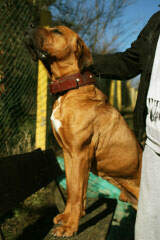 visit my website with lots of pictures and information about this wonderful breed. 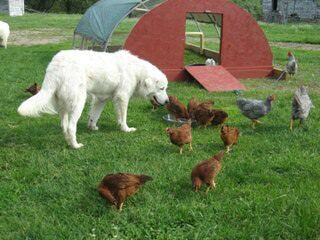 We breed Maremma Sheepdog and Volpino Italiano as a hobby. 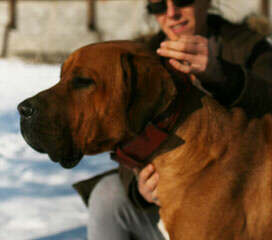 Our dogs are x-rayd for hip and elbow dysplasia, have a nice temperament and good confirmation. We only breed an occasional litter and carefully select the new homes for our puppies. We are located in Holland (Europe), near the Belgian border. Small Dutch Tosa kennel, only once in a while we have puppies, which are born and raised inside our home.